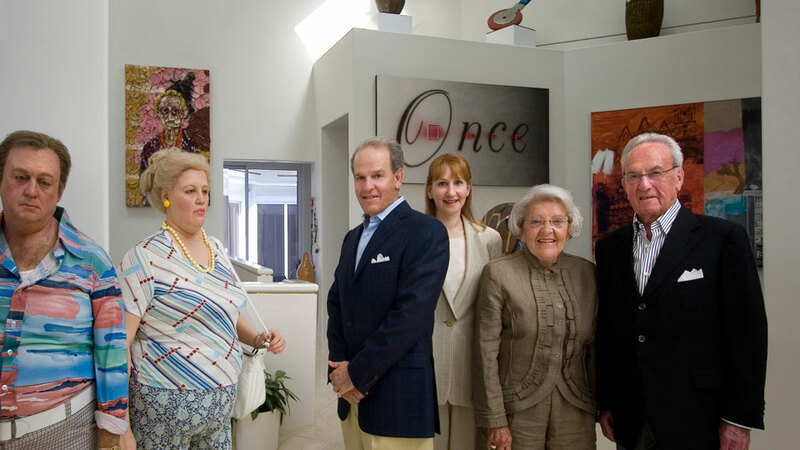 Jerry and Margaret Nerman (along with their son, Lewis, and daughter-in-law, Sue) are among the area’s most prominent collectors of contemporary art. Jerry Nerman often expressed his collecting philosophy as “the three s’s” – search, secure and share. For Margaret and Jerry Nerman, not only does every picture tell a story – so does every ceramic, sculpture, painting and print. They know the provenance of each catalogued piece in their Leawood home and circumstances surrounding the acquisition of art that ranges from Julian Schnabel to Jasper Johns and Andy Warhol to Frank Stella. Their collection of contemporary art is dazzling and significant. In 2003, the Nerman family gave the lead gift (for the naming opportunity) to assist in funding the construction of a contemporary art museum on the campus of Johnson County Community College. The $15 million Nerman Museum, an elegant, minimalist structure clad in Kansas limestone, boasts two levels with expansive galleries for temporary exhibitions and the permanent collection.